Regulation PGA Cups. Cup Style options: 6" Aluminum, 6" Regulation Bright White Plastic, 4" Aluminum, or 4" Bright White Practice. 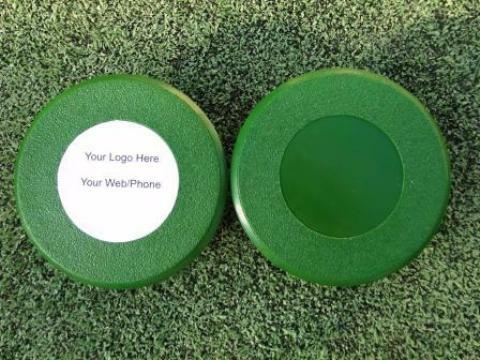 Optional: (1) Step-by-Step written installation instructions of a synthetic putting green (both Nylon & Polypropylene) (includes cup installation) & Cup Covers to keep out weather. 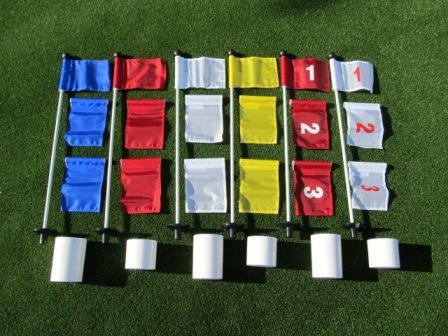 Accessory Kits Putting Green Cups & Covers, Flags, Markers, Instructions & More. 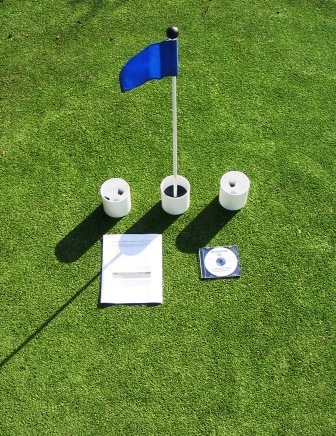 Deluxe Accessory Kits (3) Putting Green Cups, (3) Flags, (3) Markers, Instructions & More.